TWD S7Ep13 Bury Me Here: Things don’t go as planned, when a group of Kingdommers delivers goods to the Saviors during a routine supply drop-off. Joe Dirtylockz returns to the recap show to talk about this Morgan and Carol Episode! I love you, Phil, but lately nothing can please you guys when it comes to TWD. I loved last night’s episode and thought it was one of the best in a long time, and you just can’t cut them any slack, can you? You start out saying it was 90% good but later agree with Joe that it’s not great, it’s just better than all the worse episodes this season. I get that they’ve fallen a bit but if you don’t like the show any more, quit podcasting it. Very fair criticism on the podcast this season I have been harsh and not truly felt the show has been up to the same standard this season, But i def like the show as a whole it is not bad just MEH. What i have been saying all season is they did not make me care. 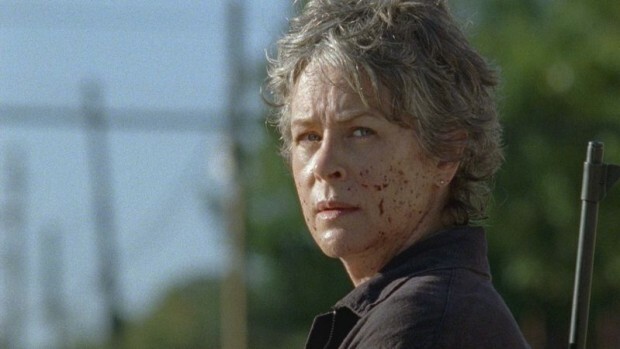 Last night i cared and liked 90& 0f the episode and talked up a show a ton last night,saying this is how good it can be with the morgan and carol stuff, but does not mean i disagree with the fact the Ben thing was done very sloppy and that is what i railed on and joe makes good points some times , silly ones ar other times and sometimes i just love feeding his rants. I hear ya on it feeling that way, but i love the show, i love talking about it even when it is not at its best it can be and this season is not, last nights episode was a great walking dead episode the best since last seasons finale or the episode before that. But I can be nothing but honest to how i feel watching and reacting. And i am sorry if that on the casts has not been good for your enjoyment. But i can only talk how i feel or it would not be me! And never gonna stop watching and casting about TWD if you don’t like it, i feel bad and never want to lose you as a friend and listener but not gonna change my honesty to how I feel, or joe or get the callers or chatters thoughts . I don’t mind having people call us out that happened last night and we will always love being taken to task about out thoughts and have people tell us why we are wrong but the whole ” don’t watch, don’t cast” i really don’t get. Sorry we don’t like the show the way you want right now, i do hope it gets better! An please if you want to challenge us we would love to hear it email igotissuesman@gmail.com or type here any comment or way you think we are dumb etc and we will read it on air, we love criticism and honesty. But please only expect the same out of us! thanks so much for caring enough to send this comment it means more than i can say!